Julian C. Tyson, age 83, passed away Sunday, January 20th, 2019. 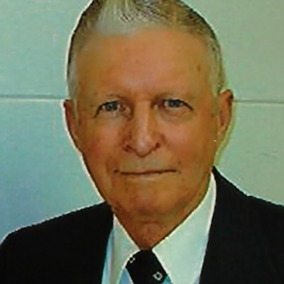 He attended Shenandoah Baptist Church and was a long-time member of West Mount Ruritan Club. He also owned and operated Tyson’s Pest Control for twenty-six years. He was preceded in death by his parents, Jack and Myrtie Tyson and is survived by his wife of sixty years, Dolly V. Tyson; daughter, Julia Land (Dale); son, Jack Tyson (Regina); grandchildren, Devin (Elizabeth), Garrett, Jamison, and Anna Grace Tyson, and Justin Ellis; two great-grandchildren, Liam and Everly Tyson; brother, Roy Tyson and a host of family friends and extended relatives. A special note of thanks is extended to Community Home Care & Hospice for the special care they provided. Visitation will take place at 5:30 pm, on Tuesday, January 22 at Shenandoah Baptist Church followed by a celebration of life at 7:30 pm. Interment will take place at 2:00 pm, Wednesday at Rocky Mount Memorial Park.